Many people are still thinking Led’s are for style and carry no real light output but we are glad to announce that era is now over, yes you can still buy low powered Led’s but many manufacturers are using LED as headlights to drive with at night and yes they are extremely bright. A point to note with the new generation of LED Headlight bulbs is the diverse marketing tactics and the numbers war that's pushed onto ill-advised consumers is only getting more and more amusing to guys like us who actually know better. 100W? 10,000 lumens? Top-secret LED chip formula with seemingly exotic blend of rare materials or fancy coatings? Cool story, but how do they actually work on the road at night? Isn't that what headlights are for? Our C6 COB H15 is a bulb backed by our in-depth testing that will not disappoint. 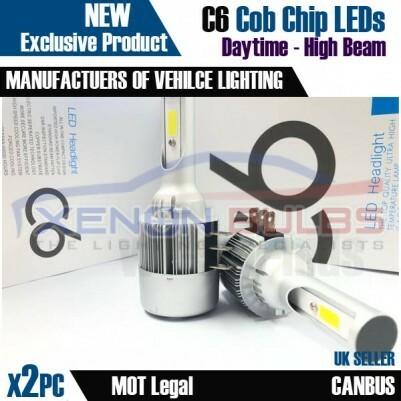 Being a real 30w and 3800 Lumens per bulb giving you a Super Bright White Daytime light but as its also your high beam bulb, the COB Chip LED provides that light output you are looking for to light up that dark country lane with ease. With our H15 you get the effect of having a factory Bi xenon headlamp so when you flash it will be instant and powerful similar to the new Audi’s etc. 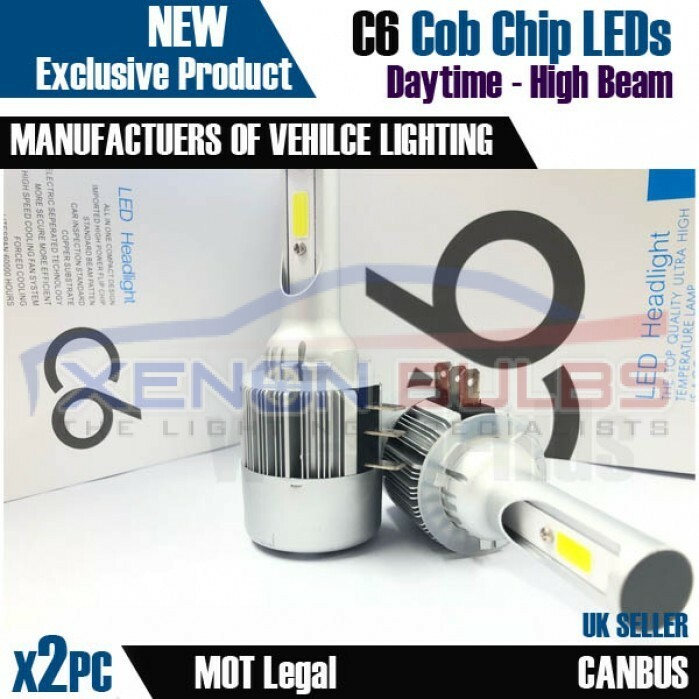 This particular Cob LED model is designed to fit in specialist OEM H15 sockets, which can be found on mainly new marques of German vehicles but with Ford also following. 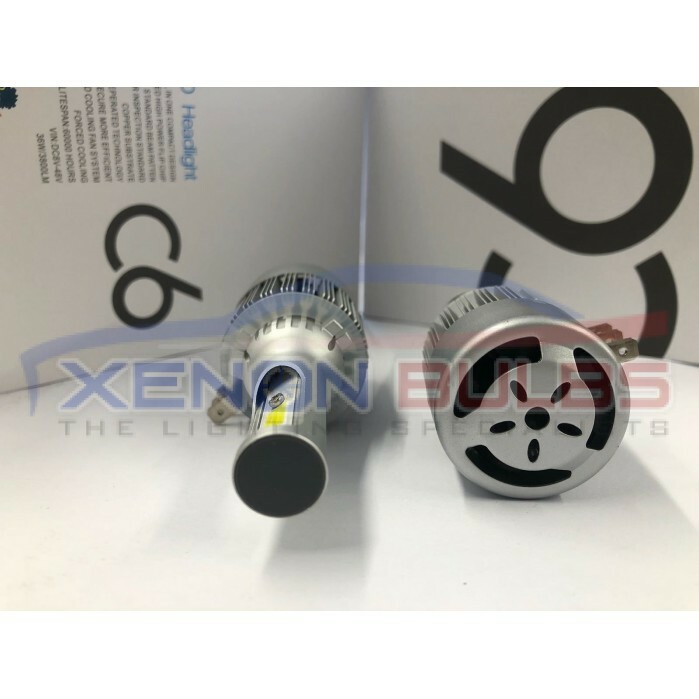 These H15 bulbs come fitted with Cob LED chips built with a aviation Grade aluminium body for cooling so they can provide light at a great distance. Each bulb also has a built in super speed mute fan to the rear to allow the LED’s to run at the power needed to provide this level of lighting. These are a plug and play replacement for your current H15 bulbs and the LED colour available is Pure White. 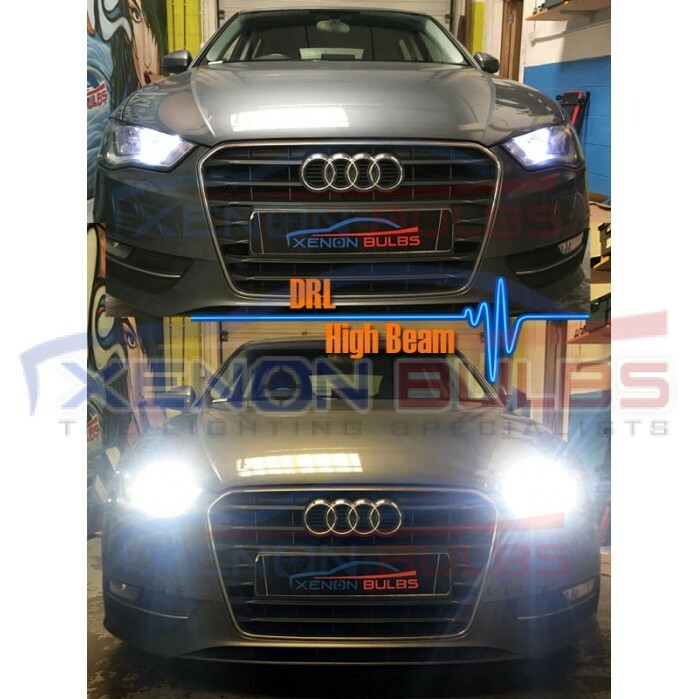 These particular bulbs are mainly used for Daytime Running Lights on the newer European cars such as Audi, VW etc... Fitting these will not only make your Daytime Running Lights modern and brighter but it will also get rid of that unattractive Amber/Orange tint from your current halogen bulbs. 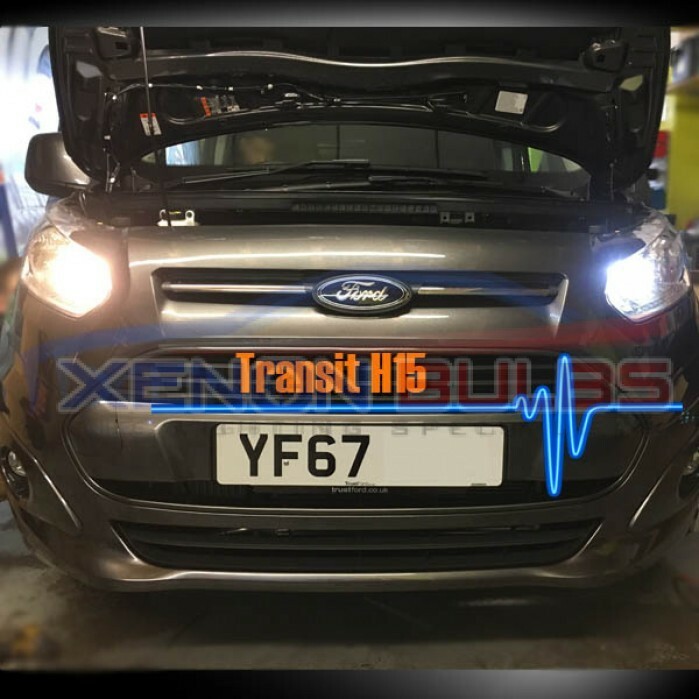 As a result you will have clean, clear and crisp DRL clusters as these bulbs don't have any coloured components. OEM Fitment – designed to fit just as factory bulbs, simple twist yours out and these in. Response Time - quicker ON/OFF response compared to traditional bulbs and LEDs. Power & Efficiency – LED power of real 30W along with energy efficiency, to be used with 12V applications. CANBUS Friendly* – designed to work with most CANBUS related vehicles.